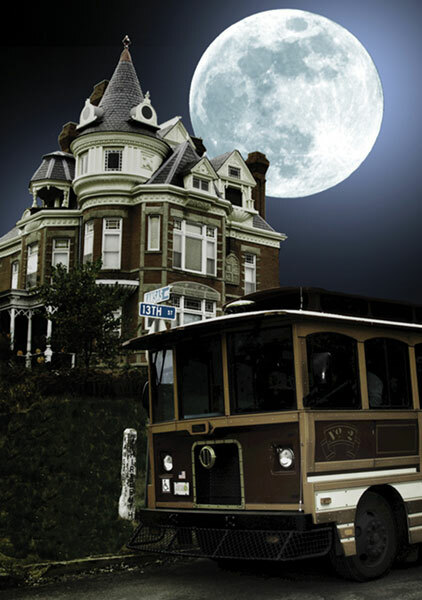 Experience the history and mystery that make the charming town of Atchison legendary in haunting. In 1997, author Lisa Hefner Heitz exposed Atchison as the most haunted town in Kansas in her book, “Haunted Kansas.” The Travel Channel continues to air its documentary “Haunted Town,” a program dedicated entirely to Atchison’s chilling stories. 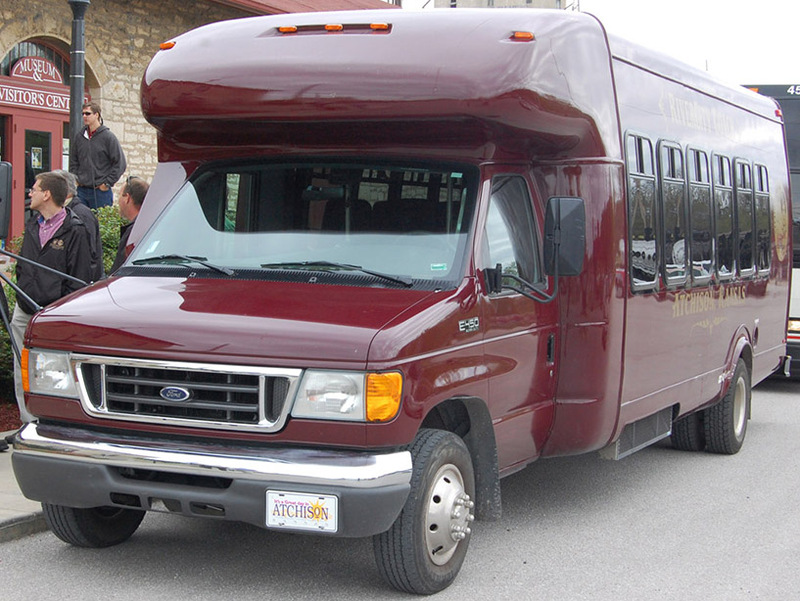 Since 1995, families from across the nation have come to Haunted Atchison Tours, a one-hour narrated ride aboard the Atchison Trolley to see the sites and hear about the mysteries. Please check in with ID and confirmation to receive your ticket at the Santa Fe Depot, 200 S. 10th St., 10 minutes before your tour. Order tickets below for the Atchison Trolley. No food or drink (except bottled water) on the Atchison Trolley. Tour not recommended for children under the age of 6. Schedule subject to change. Please refer to this site for up-to-date information or call the Atchison Area Chamber of Commerce for details. All ticket sales are final. No refunds or exchanges. Santa Fe Depot • 200 S. 10th St. • Atchison, KS 66002 • 800-234-1854. For a better view of the homes on the tour, we suggest a daytime tour. The homes featured in the tour are not illuminated from the outside. Sign up to get up-to-date Atchison information!